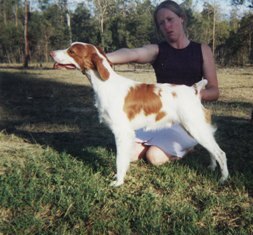 Mac left Melbourne at 8 weeks old to live with the Ward family (Wameika Brittanys) in Queensland. 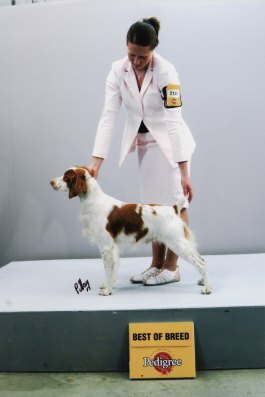 His very first show resulted in baby in show, from there he enjoyed many wins, Mac is a multi class in group,class in show winner. 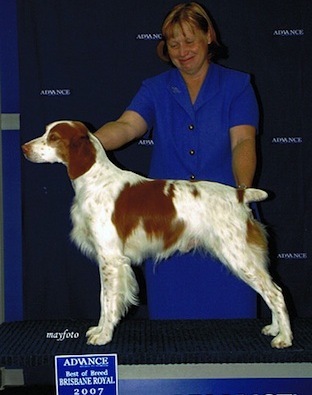 Best of breed awardes at Queensland,Tasmainia,Toowooba Royal shows. 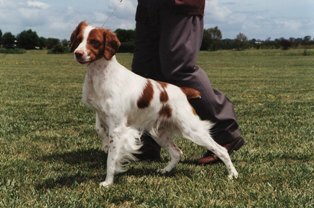 He is also a working gundog spending many hours in the field hunting with Ian. 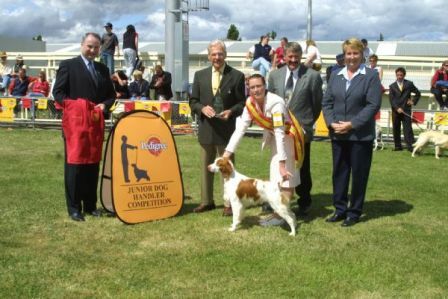 Mac and Kimberly made a fantastic team in the junior handler ring, enjoying some fabulous wins. 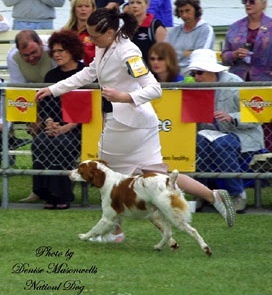 sending Kimberly off to England to represent Australia in handlers competition at the prestigious Crufts Dog Show. 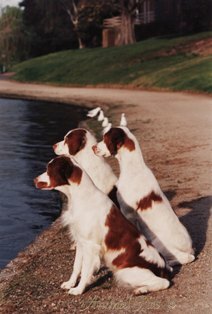 RIVERREED RAMBLIN ROSE CH. WAIMANUKURI MARINOAHI. CD.